Hi all, and welcome back to my entertainment blog. I hope you’ve all been having a great week, and enjoying the lead up to thanksgiving and christmas as much as I am. This cold weather has really got me all excited for the Christmas season, and I can’t wait for the countdown to officially begin. Another countdown which I am currently waiting on is the countdown to the Gilmore Girls revival. 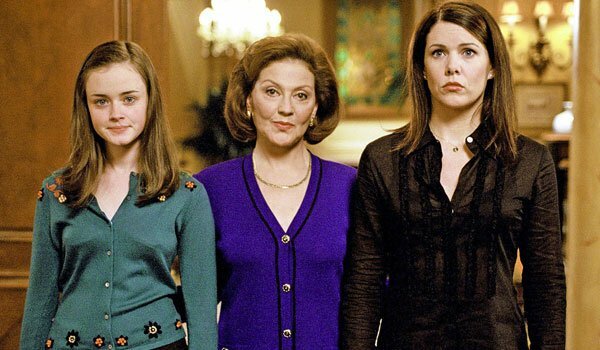 I don’t know about you guys, but I grew up watching Gilmore Girls and when it finished back in 2007 I was fairly devastated. I mean, I’d dedicated 7 years of my life to watching Lorelai and Rory, never mind the handfuls and handfuls of other great characters in the show. And I am just so excited for the 4 part return. I’ve forced my boyfriend to watch Gilmore Girls with me over the past few months, and we’ve managed to watch nearly all 7 seasons before the revival this weekend, eeeeehk. I love that instead of just picking up where the show left off, we are instead going to be watching Lorelai, Rory and Emily nearly 10 years later over 4 episodes, one set in each season. ‘Gilmore Girls: A Year in the Life’ is such a great idea, and I really hope other shows do the same thing, and pick up for a mini series so we can see how the characters we have grown to love have evolved, and most importantly who is still in their lives. I hate to be that girl, but I know I’m not the only one who is just dying to see whether Luke and Lorelai are together, and Rory, I just want to know where she has ended up, has she finally become the journalist she was destined to be? Oil with Jenny Saville →← Pick up a pencil and let’s get sketching.